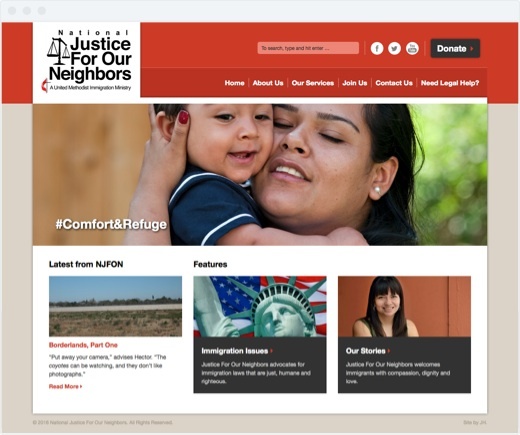 Website for nonprofit working to help immigrants. 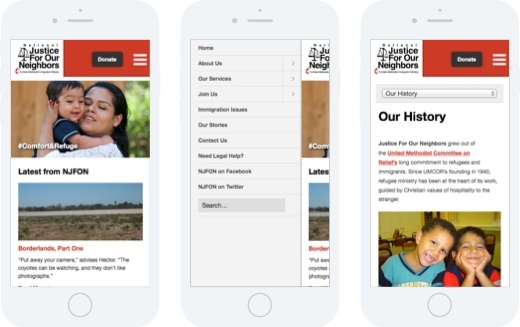 The custom WordPress theme is also used by some of their local chapters around the country, and allows them to use their own logo and social media accounts. 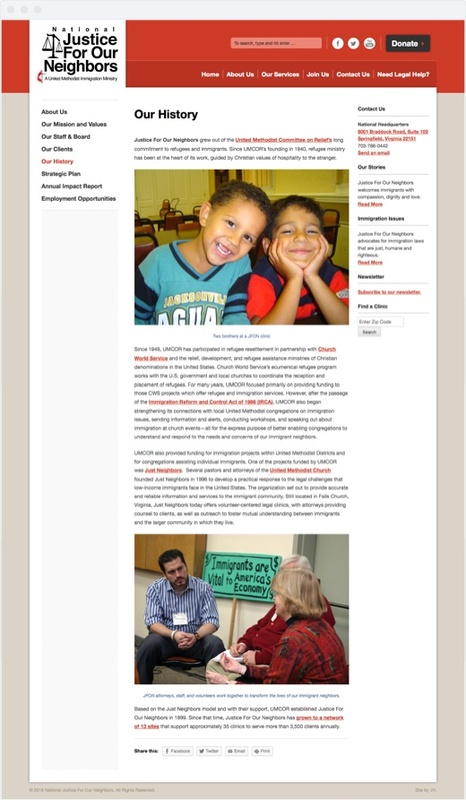 The home page features a large header image, two featured stories, and the most recent post from the News section. The site’s navigation uses drop-down menus that stand out above the content of the page. 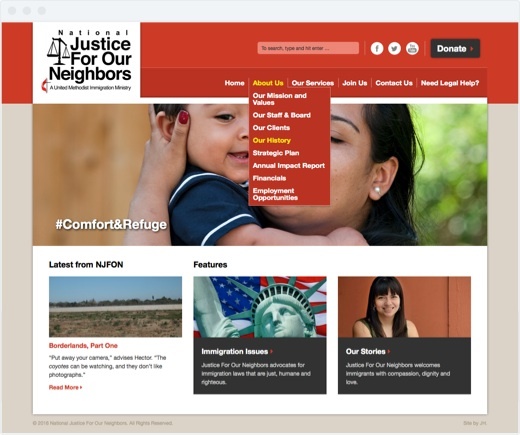 There are also a search field, links to social media sites and a donate button above the main navigation. An interior page has three columns. If the page is in a section, the section menu is on the left. The right sidebar includes contact info and a newsletter signup link, among other items. The site is responsive and works on any device. The mobile design features slide out navigation, and section menus are displayed as select menus.